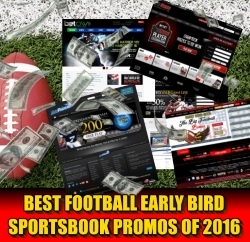 The regular NFL Season starts on Sept. 8, 2016 which means that right now, all of the sportsbooks are trying to get your business before the season starts. Since the sportsbooks know that most people usually will stick to one or two sportsbooks once the season begin, now is their chance to try and woe you into placing your football bets with them! 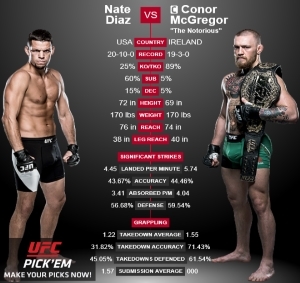 In order to get your business, all of these online companies are offering some amazing sportsbook promotions that are better known as Early Bird Bonuses. These Early Bird promotions are usually meant to try and lock you in by giving out either large welcome bonuses, or bonuses that will involve a free contest entry, free game specific bets and even free weekly bets throughout the football season. 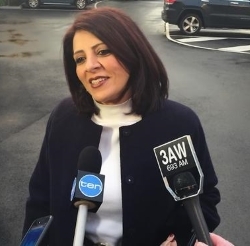 Victorian Government in Australia is looking to ban sports betting ads according to Gaming Minister, Marlene Kairouz. In a recent interview, the State Government is looking to submit a proposal that would ban all sports betting ads that are near schools and in public transportation in Victoria, Australia. 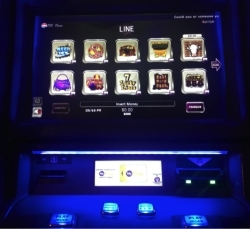 A majority of the Australian population supports the ban according to the Gaming ministry as it would also restrict gambling advertisement in places that are frequently used by minors. No details have been released as to which places would be banned but that they would eventually be worked out during the consultation phase. According to the latest statistics, sports gambling problems have already cost the community of Victoria between $1.5 billion to $2.8 billion per year. The NFL Preseason starts tomorrow with the Hall of Fame game where the Green Bay Packers will go head to head against the Indianapolis Colts. In addition, the regular season is just one month away and all of the NFL teams are scrambling to get their team roster filled with the best players they afford get. The New Orleans Saints have been on the lookout for a strong and experienced fullback and have been romancing John Kuhn, a nine year veteran who spent most of his NFL career with the Green Bay Packers. For the NFL football betting fan whom is also a fan of the Packers, this may come as a shock that Kuhn has just signed a one year contract with the Saints as he the 33 year old has always been a fan favorite. We are just a few weeks away from the 2016 NFL Preseason and some bookies are already touting some early lines on the which team will have the advantage. 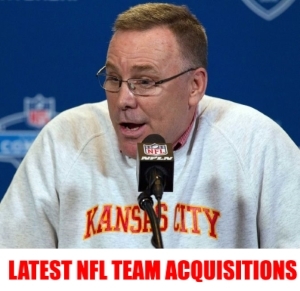 Of course, we are talking about the NFL preseason and no one knows for sure how things will go as the NFL Preseason is usually a time for teams to work on their roster, test out the rookies and hopefully, stay away from injuries. This year, the football handicappers have been closely monitoring the training camps each voicing out their opinion. ESPN, the Times-Union and most sports news publications out there have published their NFL Preseason Power Ranking and none of them are alike. 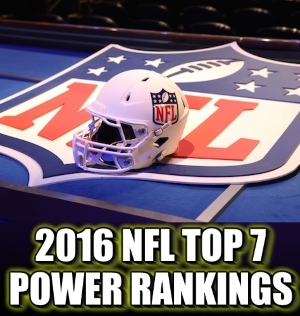 Well, here at SportsbookSOS, the best sportbook reviews website, we pride ourselves in using our own Power Ranking based on the opinion of several experts in the NFL handicapping field so here is our list of the top 7 teams for the NFL Preseason Power Rankings. The first week of the NFL Preseason is almost over and the teams are already getting several injury reports. As usual, sports handicapping experts are closely watching the injured list to help them set the odds for the NFL season as well as help them predict the outcome of the games. So let’s take a look at some of the more recent and significant NFL Preseason injuries(for a complete roster of all NFL players on the injured list, click here). 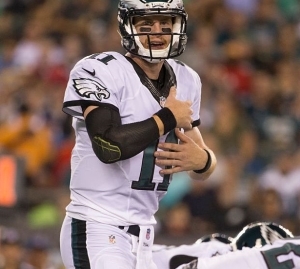 Let’s start with quarterback Carson Wentz of the Philadelphia Eagles who sustained a hairline fracture in his ribs during last Thursday’s NFL Preseason opener against Tampa Bay. Good news for the Nova Scotia Provincial Lotteries and Casino Corporation as their revenue for their lotteries and Video Lottery Terminals has increased their revenue from $396.6 million in 2014-2015 to $441 million for the 2015-2016 year. According to a press release from Thursday, CEO and President of the Nova Scotia Provincial Lotteries and Casino Corporation attributes the surge in revenue from big wins in the ticket lotteries and a sharp upward spike in revenue from the VLTs. For the gambler, this poses some interesting questions about the coloration between the cancelation of the “My-Play” program, a program that targeted the deterrence of people with gambling addictions from playing which in reality only stopped people without any gambling issues from playing.